Pixar, the company who made Toy Story and Monsters Inc, delivered another slice of luscious computer animation (now in 3D) with Finding Nemo, a cute family adventure set in the ocean depths. 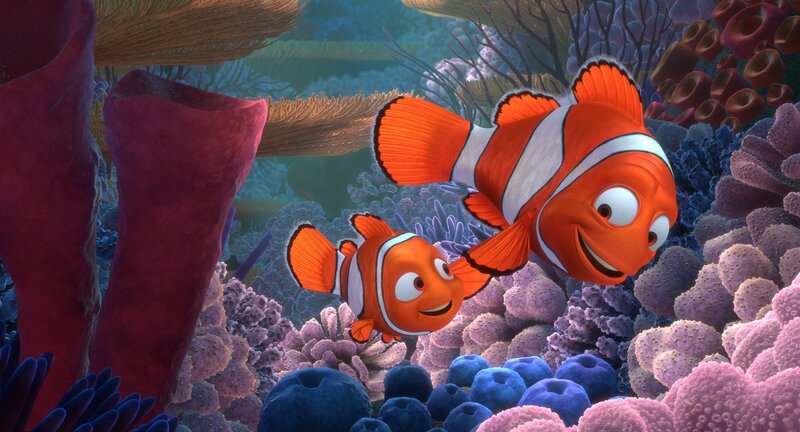 After watching his wife and all their baby eggs (except one) swallowed up by a big sea creature (in a scene that rivals Bambi’s mother’s death in terms of weepiness; it may be too much for little ones), clownfish Marlin (Brooks) is understandably protective of the one baby that survived, Nemo (Alexander Gould). 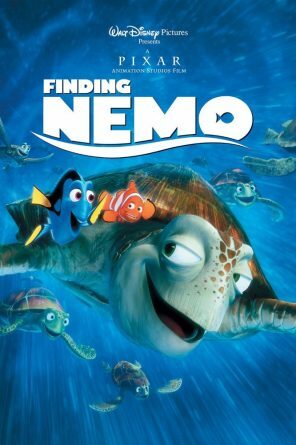 When the inquisitive Nemo is snatched by scuba divers, however, Marlin has to conquer his nervousness of the big blue sea in an attempt to rescue his son, with the help of a memory-impaired fish, Dory (DeGeneres), and a team of turtles who sound like surfer dudes. Finding Nemo is another adorable tale from Disney that’s enchanting for children, especially during the scenes in which plucky Nemo finds himself scooped out of the ocean and dropped in a dentist’s fish tank. And while not as sharp in humour as Toy Story, grown-ups will get quite a few laughs from the vocal performances of DeGeneres and Brooks, Willem Dafoe, Geoffrey Rush and Barry Humphries (who gets some of the best lines as a shark who confesses his cravings at Fish Eaters Anonymous). A fishy classic. Small children may be scared when Nemo swims out into the water and is captured by the divers. Also, the ‘initiation’ that Gill performs in the fish tank may scare little ones. The sharks that Marlin and Dory meet seem frightening to begin with. Small children may find Darla (the little girl with a habit of killing her pets) a bit scary.